The brain is comprised of the conscious and sub-conscious-10% conscious, 90% subconscious. The Reticular Activating System (RAS) is the programmer between the conscious and sub-conscious. Your subconscious accepts all that you feed it as truth. It cannot make judgments nor can it distinguish between real and imaginary perceptions. So statements you make to yourself begin in your subconscious as threads of ideas. If you continue to make those statements, eventually the RAS changes the thread into thick ropes embedded as beliefs. Your RAS focuses your brain on every aspect of your life, whether positive or negative: sports, hobbies, business, finance, personal development, favorite foods, goals, insecurities and so on. Have you noticed after buying something that you seem to see that brand everywhere? This is your RAS at work. Your brain automatically picks up on your interests, so program it to focus on what you want to be reminded of. To keep the fires of success burning, you must constantly feed your subconscious positive information. Listen to self-development tapes, read self-development books-constantly feed your subconscious positive information to program your mind for success. Feed or be Fed. If you don’t work at feeding yourself positive goals, attitudes, and thoughts, negative thoughts will exert greater influence. A Stanford study found that 85% of success is dependent on attitude. What we think defines who we are. The best time to feed our brains self-empowering statements is just before we go to sleep and when we first wake. Napoleon Hill says you should “never go to sleep without a request to your self-conscious.” The scientific reason for this is that the brain has two major modes of activity: Beta (active mode) and Alpha (relaxed mode). When we are sleepy or just waking, our brains are in the Alpha mode, when the subconscious is most receptive to positive or negative requests for information. • I think only positive thoughts. • I will find a way to solve problems. • Success comes to me easily and effortlessly. • People are instantly attracted to me. When you are frustrated or facing a seemingly impossible problem, ask your brain a question that will give you an empowering answer. Your mind has unlimited resources but you must train it to focus on solutions rather than of problems. Constantly feeding your brain empowering statements programs it for success. This programming will enable you to solve any problem in your business or personal life. Feed your brain each and every day. Success comes from constant repetition. Successful athletes, musicians, and business people become the best because they practice each and every day. Similarly, you can program your brain for success by feeding it each and every day. Repetition is the key. 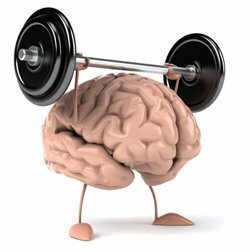 The following exercise will program your brain for success. 1. List at least five self-empowering statements. 2. Read these statements when you wake up and before you go to sleep. 3. Read these statements every day. 4. Each month, read a book on personal self-development. Start with Napoleon Hill’s Think and Grow Rich.